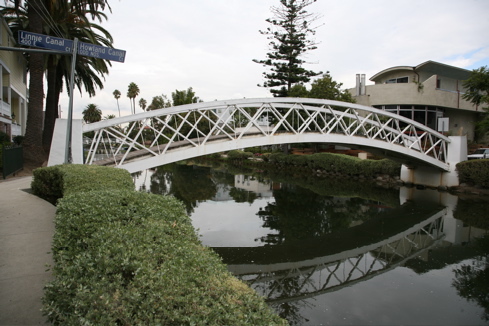 Many people may not know the reason behind the name of the Venice district of Los Angeles (and neighboring Venice Beach). 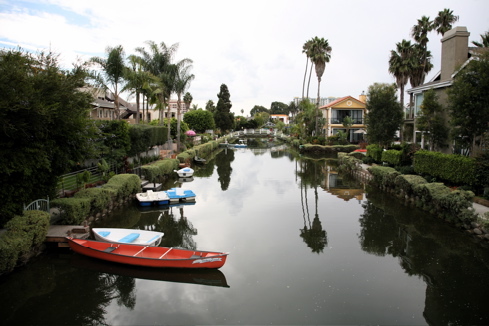 Orginally called Venice of America, it was founded on July 4th, 1905 by local developer Abbot Kinney who had numerous canals dug as a tribute to the orginal Venice, Italy and also as a way drain the marshes to aid in developing the area. Unfortunately many of the canals were paved over in 1929 to make way for more roads, but several still remain. I hadn’t been there in a while, so it was time for a visit. 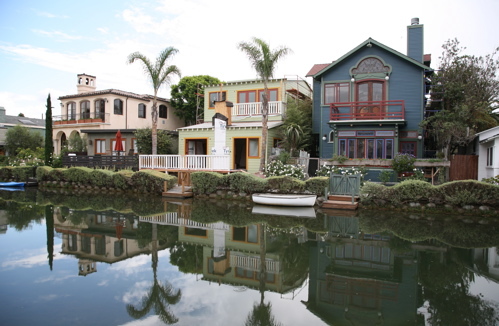 Some of the houses on the canals were in full Halloween mode. 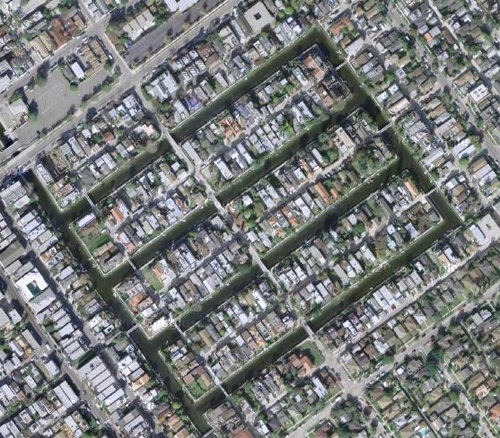 Here’s an ariel view of present day Venice showing the layout of the canals (via Google Maps).